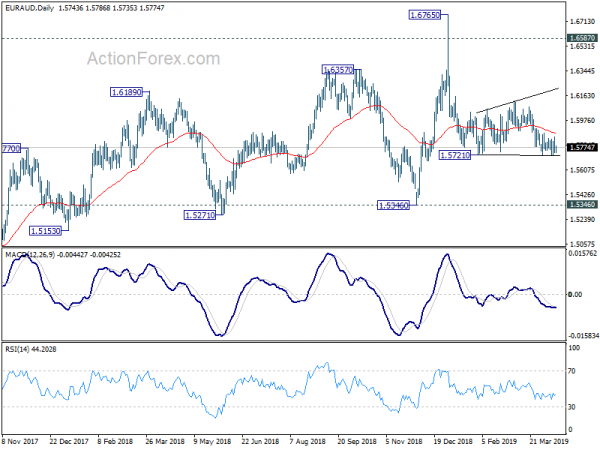 Intraday bias in EUR/AUD remains neutral for the moment. Consolidation from 1.5721 might extend further. But in case of another rise, upside should be limited by 1.6122 near term resistance. 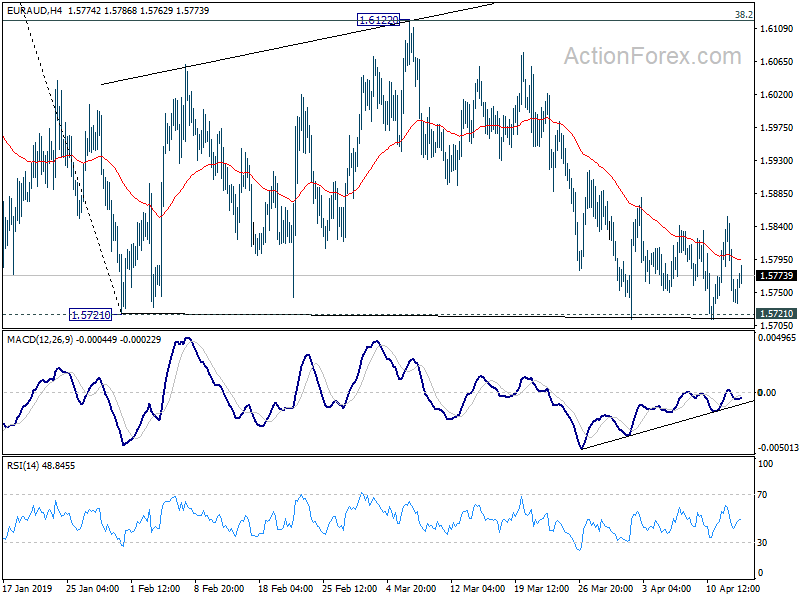 On the downside, decisive break of 1.5721 will resume the decline from 1.6765 to 1.5346 key support next. In the bigger picture, as long as 1.5346 support holds, outlook will still remain bullish. Uptrend from 1.1602 (2012 low) is expected to resume sooner or later. Break of 1.6765 will target 61.8% retracement of 2.1127 (2008 high) to 1.1602 at 1.7488 next. 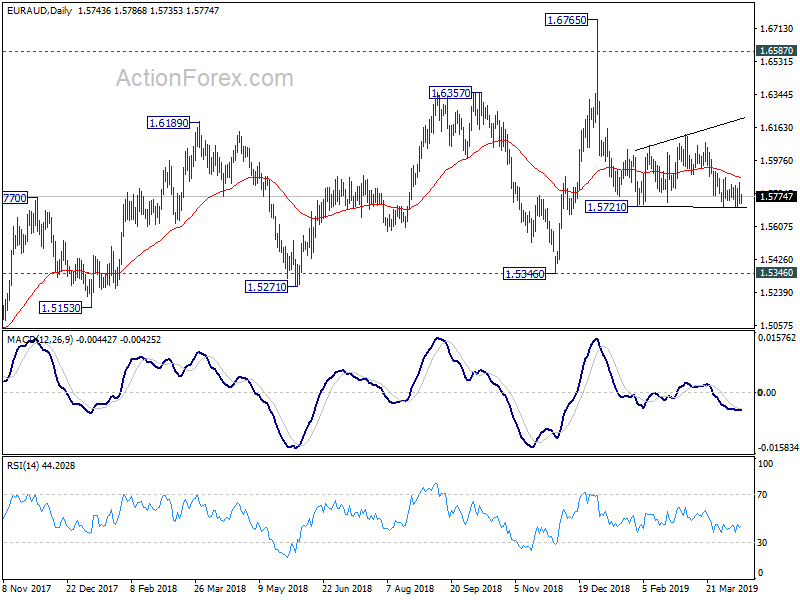 However, firm break of 1.5346 key support will indicate trend reversal, with bearish divergence condition in weekly MACD, and turn outlook bearish.